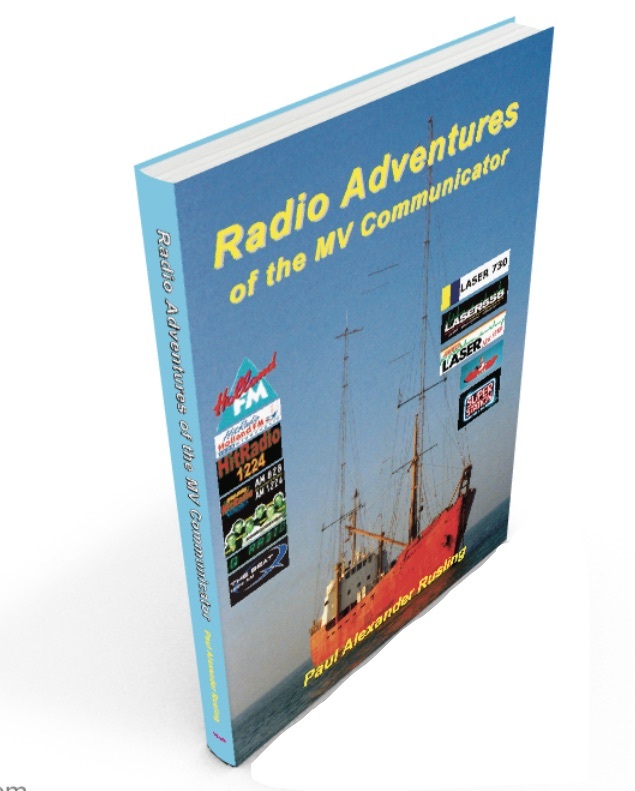 World of Radio Ltd has published a new book, all about the eleven radio stations which have broadcast from the Radio Ship, the MV Communicator. The book is written by Paul Rusling who was part of the team which set up LAser 558 on the ship back in 1983 and 1984. He draws heavilly on conversations with colleagues and others who were involved with the ship over its 21 year career as an offshore radio station. In that time, a total of eleven radio stations have used the ship, to avoid the draconian European bradio regulations. 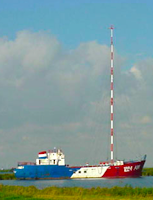 The First Phase saw LASER 730, LASER 558 and LASER HOT HITS broadcasting from the mouth of the Thames Estuary, with CSI transmitters and a very shaky antenna system. 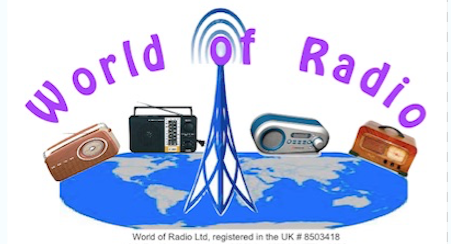 Over five million listeners in the UK tuned in and a similar number on the near continent. She was blockaded by the British Government and eventually her crew mutinied after being starved of supplies by her operators. After going into port she was sold at auction but the new owner was just as hapless at getting supplies to her, and the ship was mercilessly battered by storms and a run of bad luck. On two occasions she was forcibly boarded during the night, on one occasion by one of her co-owners! The Communicator's next port of call was a trip back to England and her old home port of Lowestoft where work began equipping her to broadcast from the Irish coast. A last minute change of plans saw her head to the Orkney Islands and a base in Scapa Flow. There she helped launch The Super Station in 2004 but she was soon up for sale again. During her trip around the European radio waves and various ports she was home to many DJs, radio engineers and various projects. All are detailed in this great new book which spills the beans on the huge amounts of money the ship made for her various owners. This is a collection of stories of those eleven radio stations that were heard transmitting from the Communicator at one time or another. The book also examines the background into several other radio projects that had plana to transmit from the ship. It's a story of adventure, intrigue and mystery. The midnight raids, some outright extortion, several takeovers and of course that real lure of pirate radio - The Loot! Why broadcast from on board a ship? What qualifications did DJs need on the ship? How did people live on board? What did everyone eat and drink? What did they do in their leisure time? Whose was the ghost who manifested by the transmitter? dramatic events on the High Seas. Over 200 pages of swashbuckling excitement! To get a copy you can either order it at your local bookshop (ISBNs are below) or order via Amazon, or direct from the publishers who can get me to personally sign it and put in whatever dedication you wish. Find it at the WorldofPagesweb site. An excellent idea for a Christmas present perhaps? The original book about Laser, called The Lid off Laser 558, is currently being reprinted.